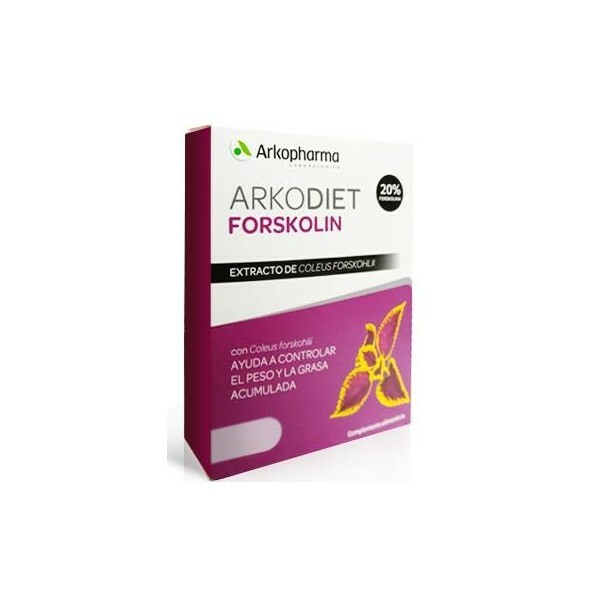 Arkodiet Forskolin in capsules as a coadjuvant in weight control diets. 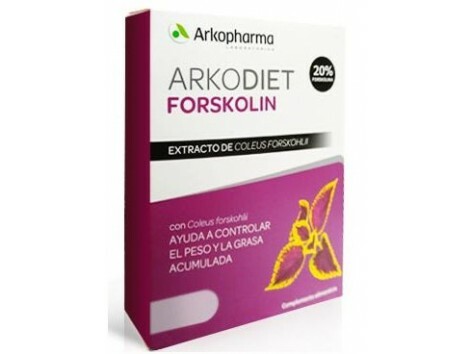 Arkodiet Forskolin is a nutritional supplement that helps control weight and accumulated fat. Root extract from Coleus Forskohlii. Contains 20% forskolin. Two capsules a day, half an hour before the main meals. Avoid consumption of FORSKOLIN in pregnant women. Avoid tomatr Forskolin people with thyroid or with metabolic diseases and people with hypertension. We must always keep in mind that Natural Supplements are intended for HEALTHY PEOPLE, any illness or disorder that the person should have to consult the doctor if it is prudent or not to take a supplement even if it is of natural origin.